This magesterial and thrilling history argues that the story of American mountaineering is the story of America itself. 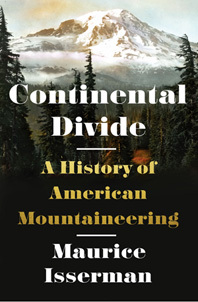 In Continental Divide, Maurice Isserman tells the history of American mountaineering through four centuries of landmark climbs and first ascents. Mountains were originally seen as obstacles to civilization; over time they came to be viewed as places of redemption and renewal. The White Mountains stirred the transcendentalists; the Rockies and Sierras pulled explorers westward toward Manifest Destiny; Yosemite inspired the early environmental conservationists. Climbing began in North America as a pursuit for lone eccentrics but grew to become a mass-participation sport. Beginning with Darby Field in 1642, the first person to climb a mountain in North America, Isserman describes the exploration and first ascents of the major American mountain ranges, from the Appalachians to Alaska. He also profiles the most important American mountaineers, including such figures as John C. Frémont, John Muir, Annie Peck, Bradford Washburn, Charlie Houston, and Bob Bates, relating their exploits both at home and abroad. Isserman traces the evolving social, cultural, and political roles mountains played in shaping the country. He describes how American mountaineers forged a "brotherhood of the rope," modeled on America’s unique democratic self-image that characterized climbing in the years leading up to and immediately following World War II. And he underscores the impact of the postwar "rucksack revolution," including the advances in technique and style made by pioneering "dirtbag" rock climbers. 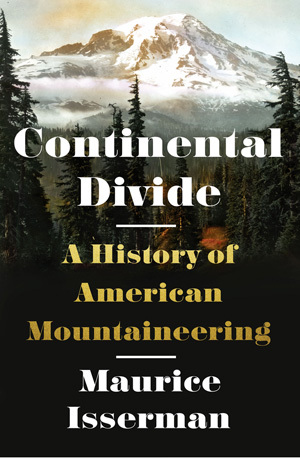 A magnificent, deeply researched history, Continental Divide tells a story of adventure and aspiration in the high peaks that makes a vivid case for the importance of mountains to American national identity.